28 different characters, poses and expressions that offer a dynamic selection of Manga-style male figures. 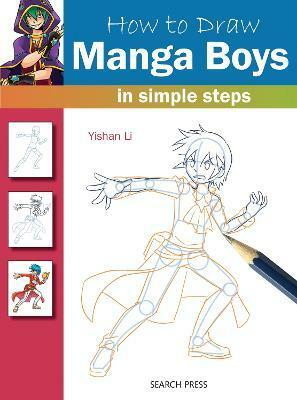 Drawing boys is a very popular subject within the manga genre and this book is perfect for anyone seeking to learn the basics of creating these delightful characters. Yishan Li is a professional Manga artist who lives in Edinburgh, Scotland. Yishan has been drawing Manga since 1998 when she was in high school and she has subsequently been published internationally including China, North America, France and the UK.